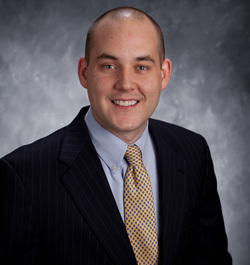 Attorney Matthew Butler joined the law firm of Lenahan & Dempsey in March 2008.He currently serves as Of Counsel to the Firm. His practice areas cover a wide range of topics including Insurance Bad Faith, Personal Injury and Civil Litigation matters. Prior to joining Lenahan & Dempsey, Matthew J. Butler served as a law clerk for Lackawanna County Court of Common Pleas Judge Terrence R. Nealon. Attorney Matthew J. Butler received his Juris Doctorate from the Widener University School of Law and his undergraduate degree from The College of the Holy Cross. Attorney Matthew J. Butler is a member of the Young Lawyers Division of the Lackawanna County Bar Association, the Pennsylvania Bar Association and the Pennsylvania Association for Justice. He is currently admitted to practice in Pennsylvania as well as the United States District Court for the Middle District of Pennsylvania. Attorney Matthew J. Butler additionally provides legal services as a member of the pro bono program of the Middle District of Pennsylvania Chapter of the Federal Bar Association. For more information on Attorney Matthew Butler, please click here.